It’s been a few years since the ‘original’ Line 6 POD HD500 came out which brought digital modelling and all its possibilities to the masses. The POD contained sounds of classic amps and effects giving you a huge variety of tones at the push of a button, in your bedroom and in a small unit. As technology has got better, faster and more powerful so has the choice of modellers on the market, which range from £50 amps through to £2000 top end profilers. Some of the latest modellers look fiercely complicated and no doubt have a manual to match (or on-line pdf as who gives out manuals these days! ), but if you can work a mobile phone or laptop it should be easy! A lot of them now have headphone, MP3 and MIDI sockets, as well as USB sockets for those all-important upgrades, making them fully flexible and user friendly. You don’t even need a real amp with them anymore – plug in your headphones or connect it to the PA – but connecting it to your amp means you can use their effects and tone shaping abilities. So if you are looking for a modeller, where do you start – amp, processor or pedal? Most of the major manufacturers now have a range of modelling amps, including Marshall who joined the party last month with their CODE range. The range of amps available is now comprehensive from small 5-10W units – think Yamaha THR or Blackstar ID:Core though to 50 and 100W monsters. These range in price from £50 up to £500 so you need to decide your budget and where you will play – I have an ID:Core 10 which is plenty loud enough for playing at home and has a decent range of tones, all for £89 which is a bargain. Check out models from Fender, Line 6, Marshall, Vox, Blackstar and Yamaha. The ‘original’ Line 6POD was replaced by the HD500X in 2013 (costing £400) and now the Line 6 Helix has just come out with dual processors and over 1000 presets and models, all for the princely sum of £1200. Others include the Boss GT, at £320, Atomic Amplifire at £470 and Fractal AX8 at £1500 and Fender Mustang Floor. Smaller pedals include the Vox Stomplab IG and IIG pedals, the Zoom MS-50G and Line 6 pocket POD. All of these have foot controllers allowing you to change your sound whilst playing in a live setting – you can also find your sound and save it – great for covers bands who need a wide range of sounds available without having to cart around a ton of gear. For a great new twist on this check out the DigiTech Trio Band Creator and Looper. Many desk-top and rack modellers are pro-level in terms of available sounds, level of complexity and cost! They include the Kemper Profiler at £1500 and the Fractal Axe-FX series. 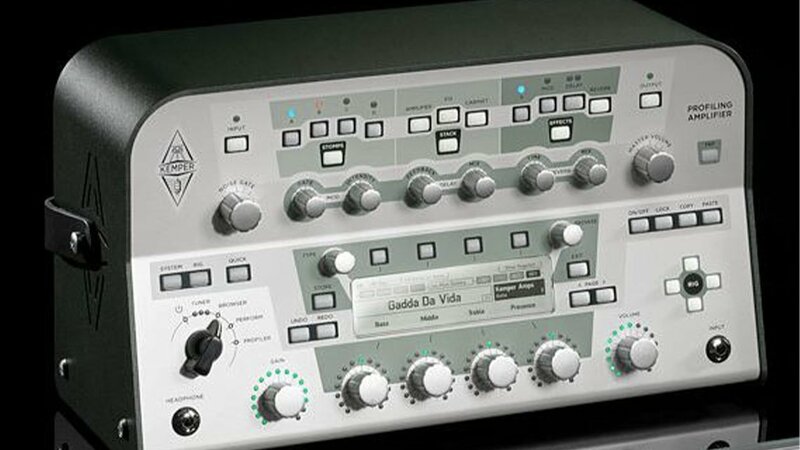 A modeller could be the answer to your tone prayers….and give you hours of fun finding new sounds and effects. Throw in a built in looper, drum machine and backing tracks and you’re away!